Mini size. Maximum fun. This scaled down version of our DISCatcher® Pro target is great for tournament trophies or mini golf with friends. 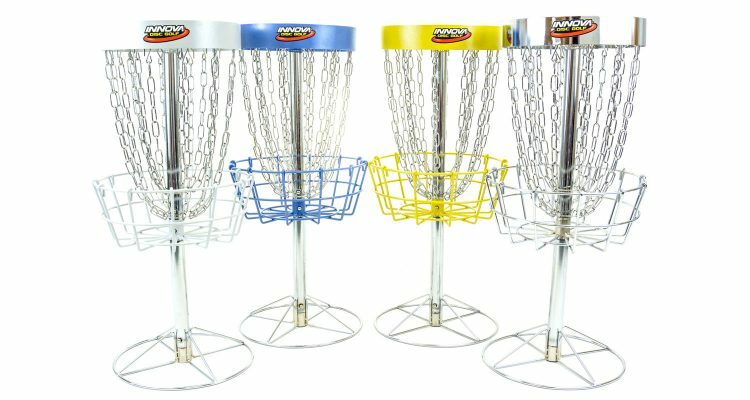 The DISCatcher® Mini is available in hammer finish Yellow, Blue and White. There’s even a chrome version! Assembly is easy, no tools are required. Take disc golf anywhere—downsized—with the DISCatcher® Mini.